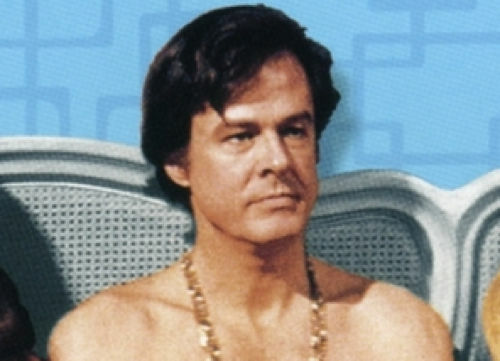 Believe it or not, television star Robert Culp has died at the age of 79. Sadly, like his contemporary Peter Graves did last week, the actor fell outside his home. Rather than suffering from a heart attack, though, Culp sadly just hit his head on the ground and passed away later in the hospital as a result of the accident. Known best to this generation as Ray Romano's father-in-law on Everybody Loves Raymond (or maybe as the narrator of Eminem's "Guilty Conscience" video), Culp was a regular or lead actor in many, many series, including the superhero show The Greatest American Hero, the western Trackdown and most famously, the buddy secret agent hit I Spy. The latter was turned into a 2002 movie, in which Eddie Murphy was cast in Culp's role. Culp also wrote some episodes for those TV shows mentioned and had a hand in directing. He even helmed one film, the violent 1972 neo-noir Hickey & Boggs, in which he reunited with his I Spy costar Bill Cosby as a detective. Of his big screen roles, Culp is most memorable as one of the four title characters in Bob & Carol & Ted & Alice, Paul Mazursky's smash 1969 comedy-drama that examined the sexual revolution's expansion into the lives of two married couples. I was always surprised Culp didn't become a bigger film star following Bob & Carol & Ted & Alice. The movie propelled Elliott Gould to stardom (at least through the next decade), but Culp remained primarily a TV star. He had a very similar look to Robert Redford, so perhaps there was only room for one of them in cinema and Culp had to settle for being the "Sundance" of the small screen. He certainly made the best of it, though. TV screens will be emptier now without his beloved appearances, whether in starring roles or guest spots on anything from Robot Chicken to The Girls Next Door. Screen Rant would like to send out condolences to Mr. Culp’s friends and family in their time of mourning.